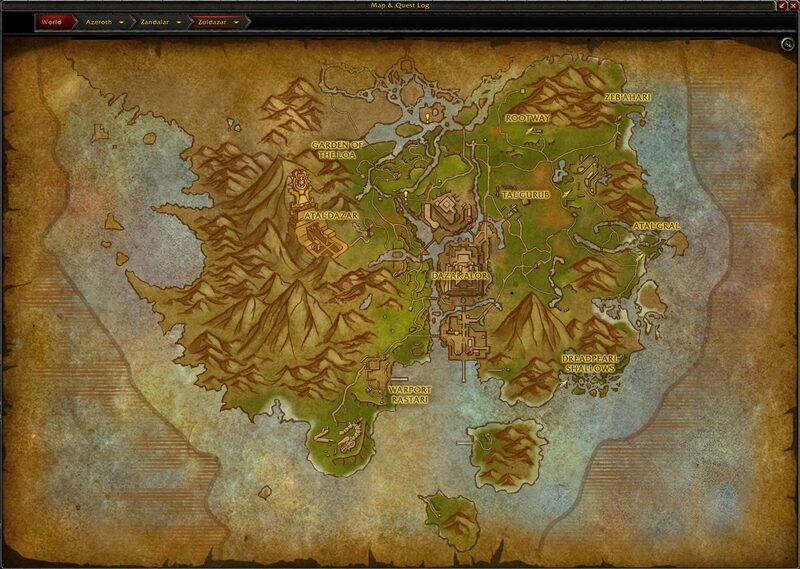 And “can Blizzard make a quest more vague than this?” — crossed my mind. Quest Objectives: Collect a set of scrolls depicting the tortollan pilgrimage. 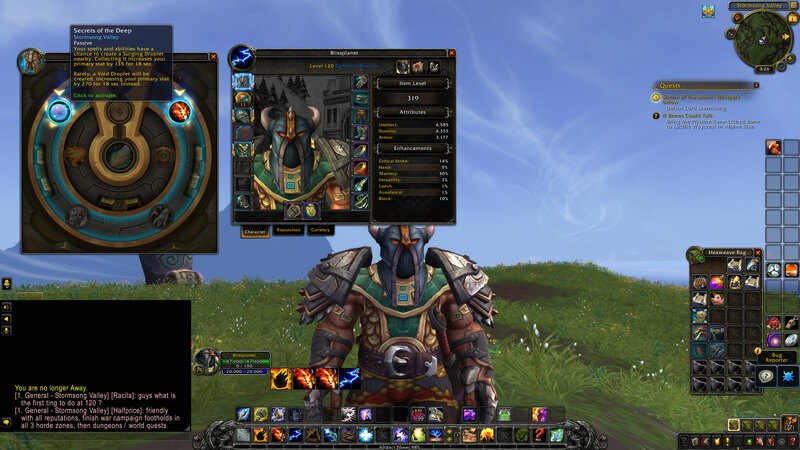 Not only might the mail helm be attractive to transmog-holics, but it is also a helm with Azerite Powers. 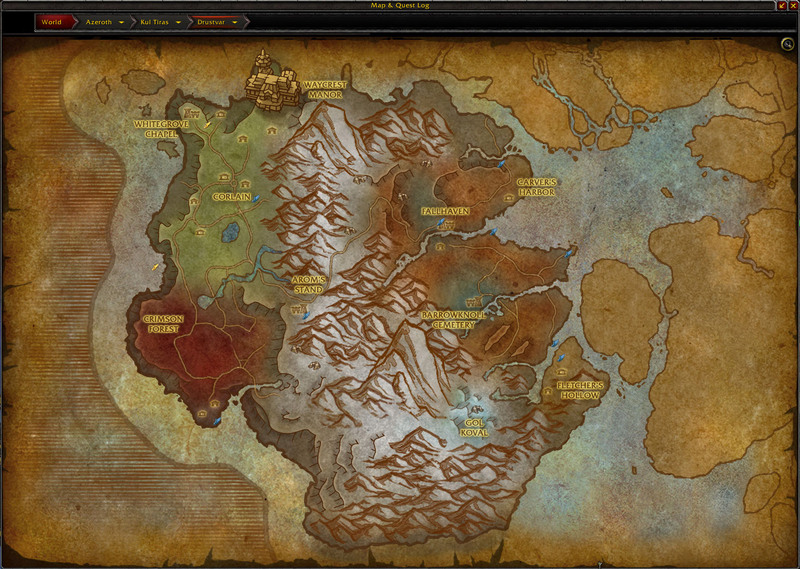 Kinda helpful to those who need to increase iLevel to 305 to unlock Heroic dungeons. 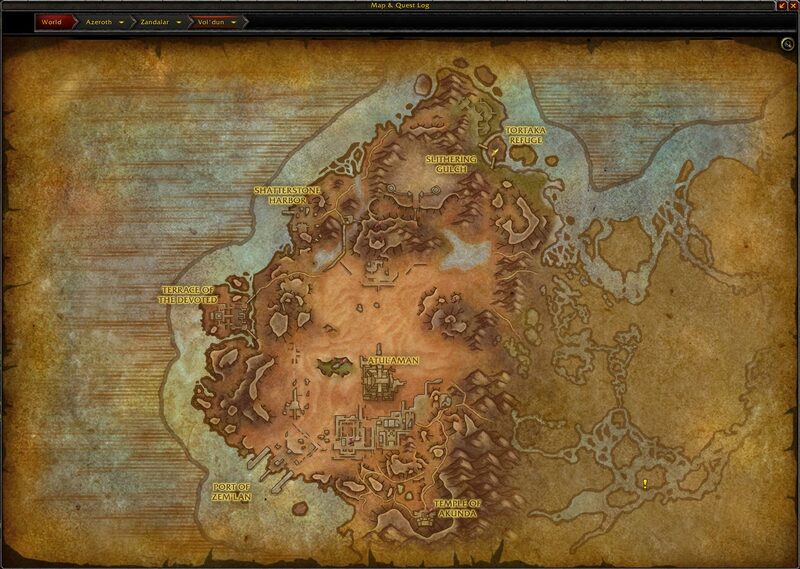 The Tortollan Pilgrimage scrolls drop from Treasure Chests, anywhere in Kul Tiras. As an Alliance player, I noticed a lower drop rate in Zandalar (but some dropped). 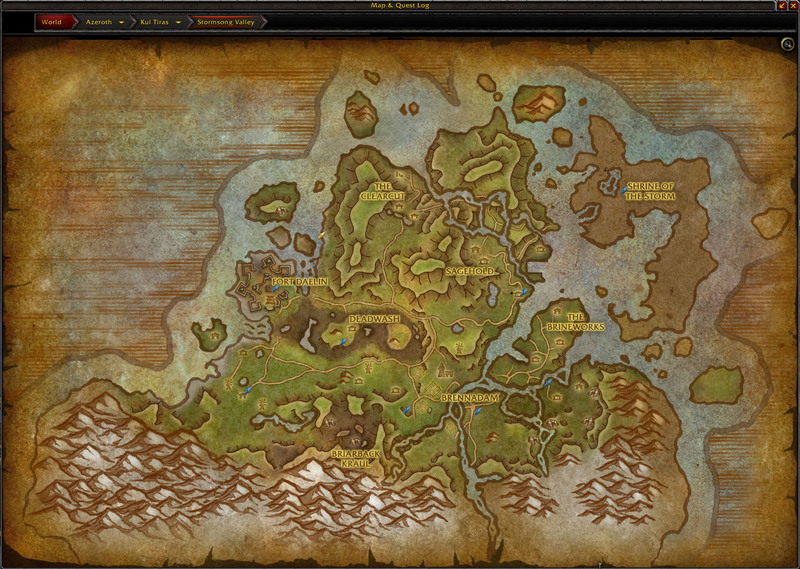 Check out the Treasure Chest Maps (the blue dots represent random spawn locations I have charted for weeks). 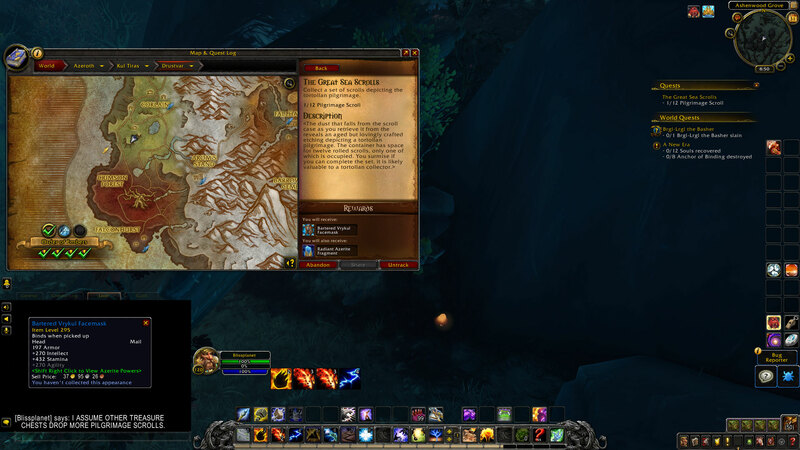 Another player, Snowscath, who responded in general chat informed me that his quest dropped near Fallhaven. That’s the east side of Drustvar. Mine dropped on the west side. That means the item that starts the quest has a random % chance to drop from any treasure chest in Drustvar (instead of at a specific location). Not all the Treasure Chests will have a scroll. There is a chance that any Treasure Chest drops 1-3 Tortollan Pilgrimage Scroll. 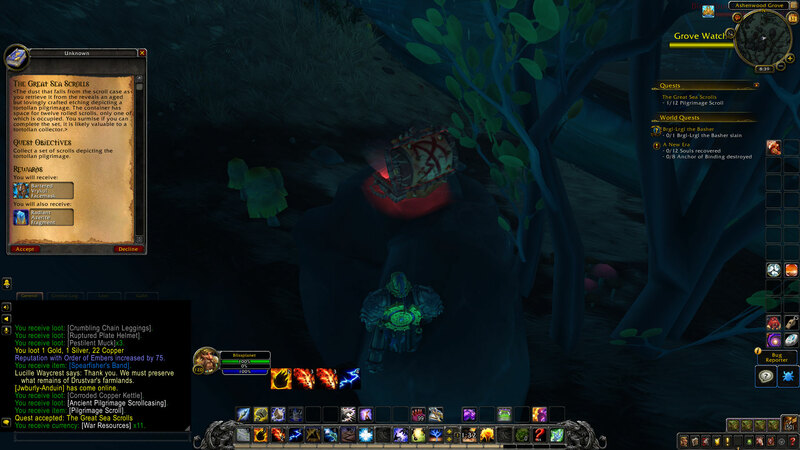 You have to click the Tortollan Pilgrimage Scroll in your inventory. Not all of them will give you credit toward the 1/12 objective. There is a random chance that 1-2 give you credit. 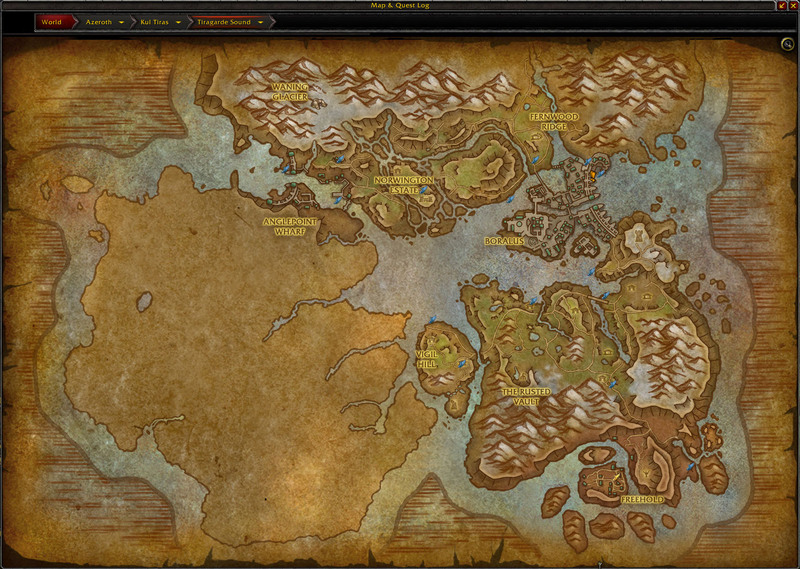 The first 6 Tortollan Pilgrimage Scrolls credited toward completing the quest took approximately 4 hours to gather. Probably 20+ scrolls in total from Treasure Chests throughout Drustvar and Tiragarde Sound. It took me 10 hours to collect all 12 scrolls.